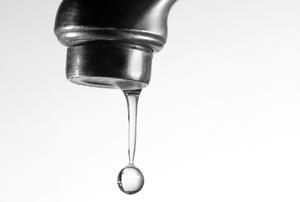 A leaking faucet will run up your water bills and can destroy your fixtures, so solve the problem as soon as possible. 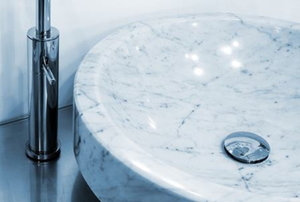 Follow these steps to repair cracks in cultured marble sinks. Read this article for information on pedestal and vanity sink bases. 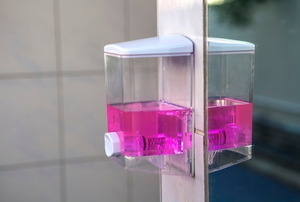 Follow these steps to make your own foam soap dispenser. Follow these steps to install a sink cabinet base. 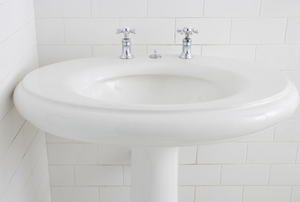 Read this article for advice on the pros and cons of 1-piece bathroom sinks. Clean your cultured marble sink in 2 easy steps. Follow these steps to build a bathroom sink cabinet base. 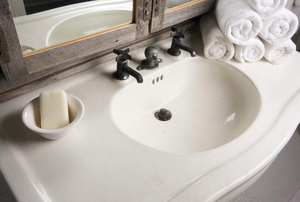 Follow these steps to clean a soapstone sink. 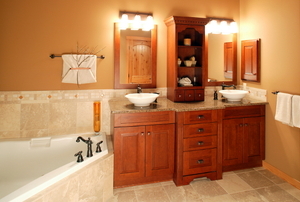 Read this article for advice on the advantages and disadvantages of soapstone sinks. 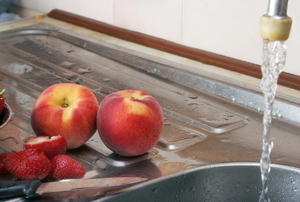 Make sure your stone vessel sink looks great for years to come by maintaining it properly and cleaning it regularly. Read this article for information on the materials and designs are bathroom vessel sinks. 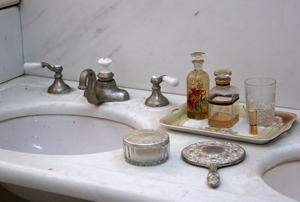 Read this article for advice on maintaining your marble sink. 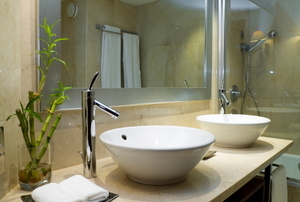 Read about the advantages of vessel sinks and ceramic sinks. Read this article for brief on advice on using polish to clean marble surfaces. Will Basic Marble Cleaning Products Remove Minor Scratches? 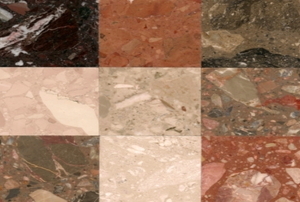 Read this article for advice on cleaning and polishing a marble surface.